Two articles by the distinguished US historian Bruce Cumings have been published in the Guardian newspaper in London and the London Review of Books, dealing with the history of US policy in Korea and its attacks on North Korea. These articles, ‘A Murderous History of Korea’, in the London Review of Books, and ‘Americans once carpet-bombed North Korea. It’s time to remember that past’ in the Guardian, are recommended in the strongest terms to be read in full. They deal in detail with Korean resistance against Japanese occupation, US repression in creating South Korea, US carpet bombing of North Korea – which was greater than its attacks on Germany and Japan during World War II, and the US role in creating the South Korean state. To give a flavour of the articles, and to encourage them to be read in full, excerpts from Cumings two articles are given below. They have been arranged from the two articles in chronological order of the events which Cumings describes. They therefore form a short history of the main periods of US involvement with Korea leading up to the present crisis. The first, second and fourth extracts are from the London Review of Books, the third is from the Guardian. Cuming’s research destroys the concept that the US in Korea was motivated by ‘human rights’ or ‘democracy’. The US used Japanese collaborators and mass repression in South Korea, and ruthless bombing of the civilian population of North Korea. 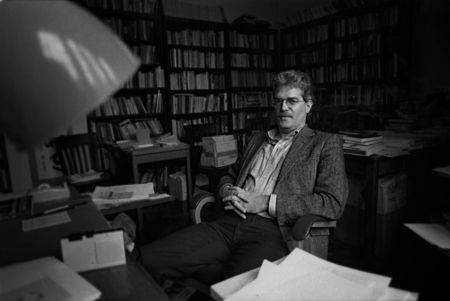 Cumings is Professor of History, and former chair of the history department, at the University of Chicago and author of numerous books on Korea. His Origins of the Korean War, Vol. 1 won the John K. Fairbank Prize of the American Historical Association, and his Origins of the Korean War, Vol. 2 won the Quincy Wright Book Award of the International Studies Association. After Japan annexed Korea in 1910, many Koreans fled across the border, among them the parents of Kim Il-sung, but it wasn’t until Japan established its puppet state of Manchukuo in March 1932 that the independence movement turned to armed resistance. Kim and his comrades launched a campaign that lasted 13 difficult years, until Japan finally relinquished control of Korea as part of the 1945 terms of surrender. This is the source of the North Korean leadership’s legitimacy in the eyes of its people: they are revolutionary nationalists who resisted their country’s coloniser; they resisted again when a massive onslaught by the US air force during the Korean War razed all their cities, driving the population to live, work and study in subterranean shelters; they have continued to resist the US ever since…The story of Kim Il-sung’s resistance against the Japanese is surrounded by legend and exaggeration in the North, and general denial in the South. But he was recognisably a hero: he fought for a decade in the harshest winter environment imaginable, with temperatures sometimes falling to 50° below zero. ‘It was 64 years ago that North Koreans emerged from this war into a living nightmare, after three years of “rain and ruin” by the US Air Force. Pyongyang had been razed to the ground, with the Air Force stating in official documents that the North’s cities suffered greater damage than German and Japanese cities firebombed during World War II. ‘Just as Japan scholar Richard Minear termed Truman’s atomic attacks “exterminationist,” the great French writer and filmmaker Chris Marker wrote after a visit to the North in 1957, “Extermination crossed this land.” It was an indelible experience still drilled into the heads of every North Korean. ‘There are 25 million human beings living in North Korea. They bleed like we do, they live and die like we do, they love their kin like we do. Trump’s callous and cavalier threat was perhaps the most irresponsible thing he has said since becoming president (which is really saying something), but most Americans will not know this because they know nothing about the carpet-bombing of North Korea. For 25 years now the world has been treated to scaremongering about North Korean nuclear weapons, but hardly anyone points out that it was the US that introduced nuclear weapons into the Korean peninsula, in 1958; hundreds were kept there until a worldwide pullback of tactical nukes occurred under George H.W. Bush. But every US administration since 1991 has challenged North Korea with frequent flights of nuclear-capable bombers in South Korean airspace, and any day of the week an Ohio-class submarine could demolish the North in a few hours.